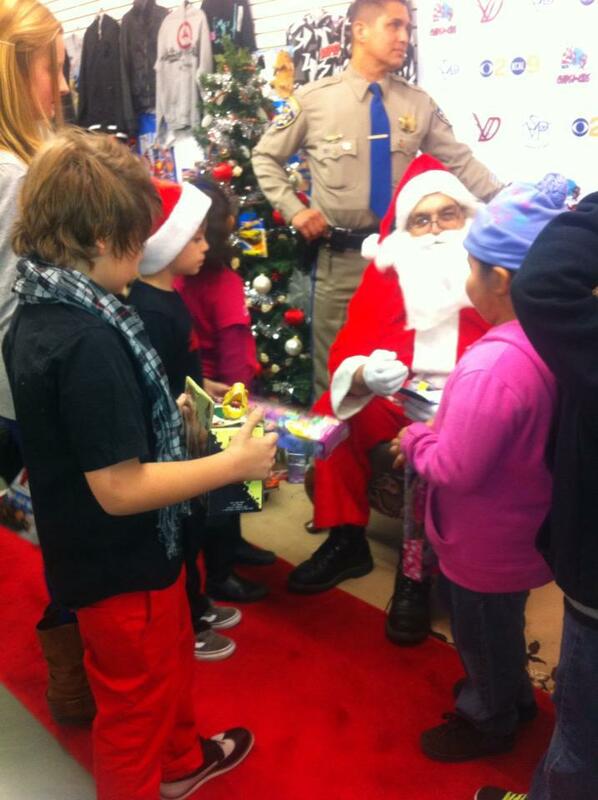 CHiPs for Kids Holiday Toy Distribution was held at Society of St. Vincent de Paul Thrift Store in LA. 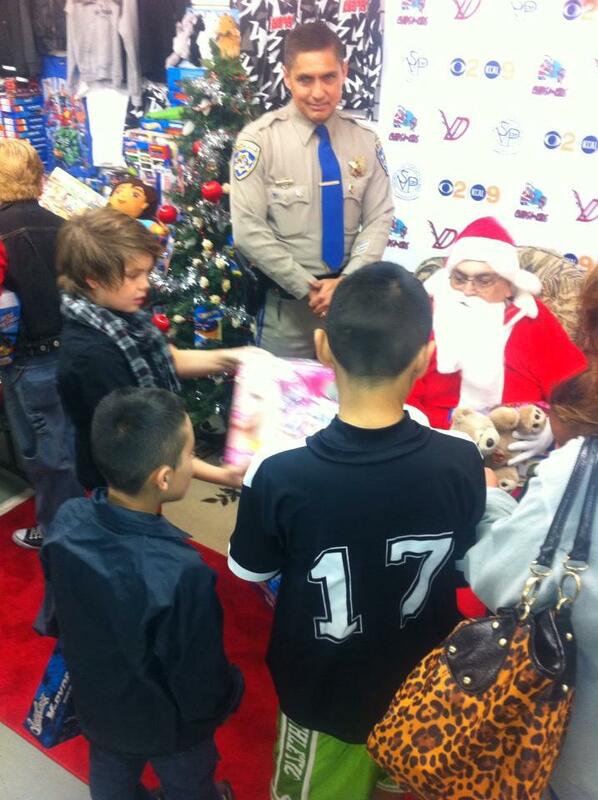 The Society of St. Vincent de Paul, Council of Los Angeles, in collaboration with the California Highway Patrol and its ‘CHiPs for Kids’ Holiday Toy Drive, distributed new Christmas toys to children on Saturday, December 15 at the Society’s Thrift Store at 210 N. Avenue 21 in Los Angeles. Zach Callison, Tarik Ellinger and Zachary Alexander Rice with Santa and Norky!! Santa Claus was on hand to pass out the toys. In addition, award winning actor/producer Vincent De Paul, who bears the same name as the Society’s patron saint, and NORKY the Peneagle, the ‘official mailbird’ and ‘goodwill ambassador’ of the North Pole, along with Actor Zach Callison, Actor Zachary Alexander Rice, Actor Tarik Ellinger and Actress Lisa Dair Owens, all on hand to support the toy distribution. Norky the Peneagle is taking care of the naughty and nice list for Santa this year. 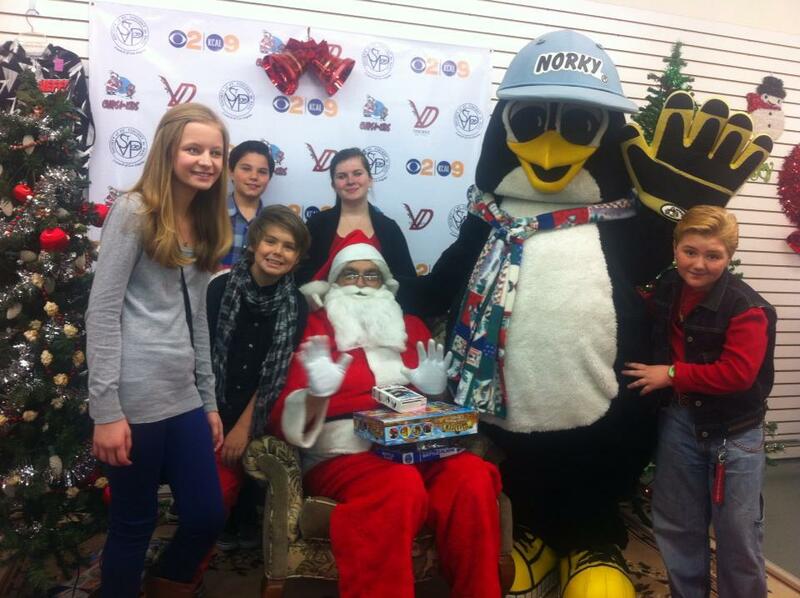 Norky is also the star of the children’s book‘Christmas with Norky (the Adventure Begins…),’ created by author Steve Allgeier. This entry was posted on December 16, 2012 at 4:41 pm and is filed under young hollywood with tags abc, cbs, disney, nbc, Nickelodeon, Santa Claus, St. Vincent De paul, Tarik Ellinger, Vincent De Paul, zach callison, zachary alexander rice. You can follow any responses to this entry through the RSS 2.0 feed. You can leave a response, or trackback from your own site.